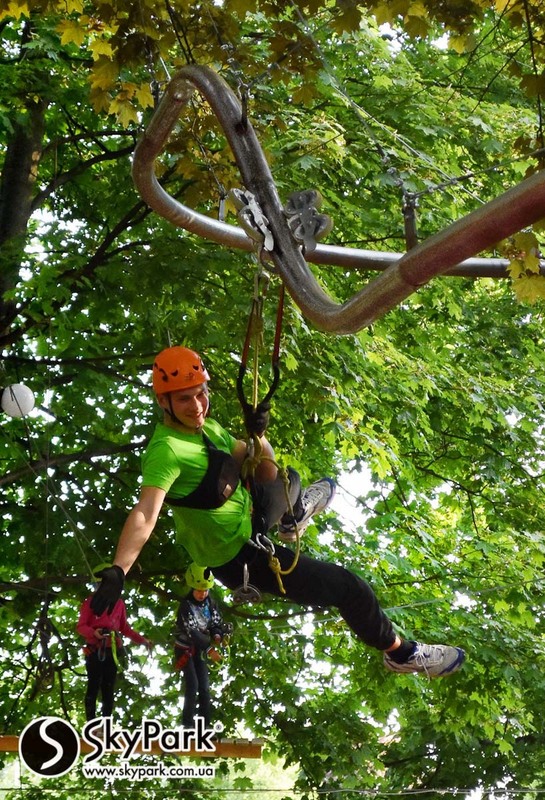 Do you like to feel the lightness of flight, speed and adrenaline, going by the Zip-line? Now imagine the same descent, but even more breathtaking with spectacular curves and breathtaking dips. Or do you think that it is more important to relax and to enjoy the surrounding scenery during the descent by the Zip-line? Then why not to slow down the speed of the flight to have time for making spectacular photos of the surrounding nature. And what if to combine all of these additional benefits into one attraction? The SkyPark company offers the building of unique SkyLine crossings. We know how to bring to life many people’s dream about the more perfect Zip-lines. SkyLine is an upgraded version of Zip line. 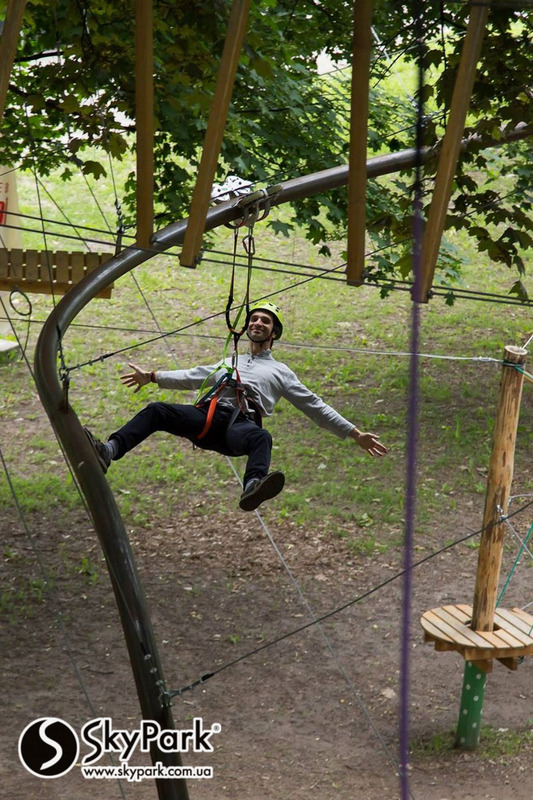 Ordering the construction of a unique SkyLine attraction by the SkyPark company, you will be able to surprise your guests with unusual air walk. Supplement the usual straight sharped Zip-line with turns, fantastic spirals, failures, creating the impression of free fall, and sloping areas that allow to reduce the speed almost to a complete stop. It is created for the true connoisseurs of getting a bird’s-eye view of the beautiful landscapes. Proper combination of various elements of the SkyLine allows you to create a kind of an interesting trail in the air, where the adrenaline gives way to light moments of relaxation, and vice versa. 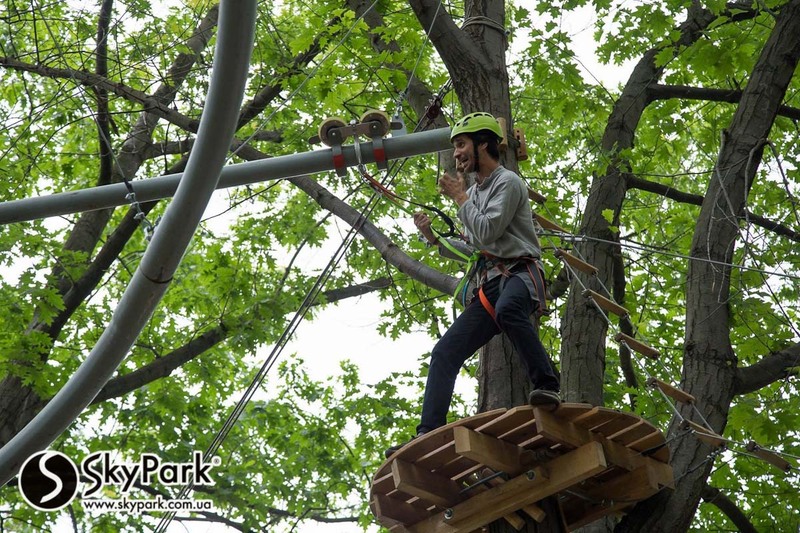 SkyLine by the SkyPark company is a unique engineering, our vision of what Zip-line must be, which will be to like for everyone. Another advantage of SkyLine crossing in comparison with the Zip-line is the ability to create rather long trails even in a small area. 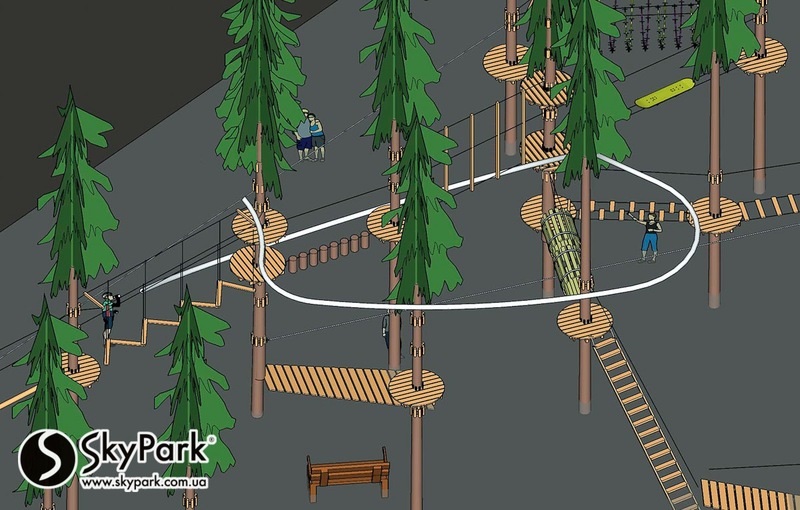 Maneuvering between the trees, the SkyLine trail optimizes the use of space allocated for the attraction. 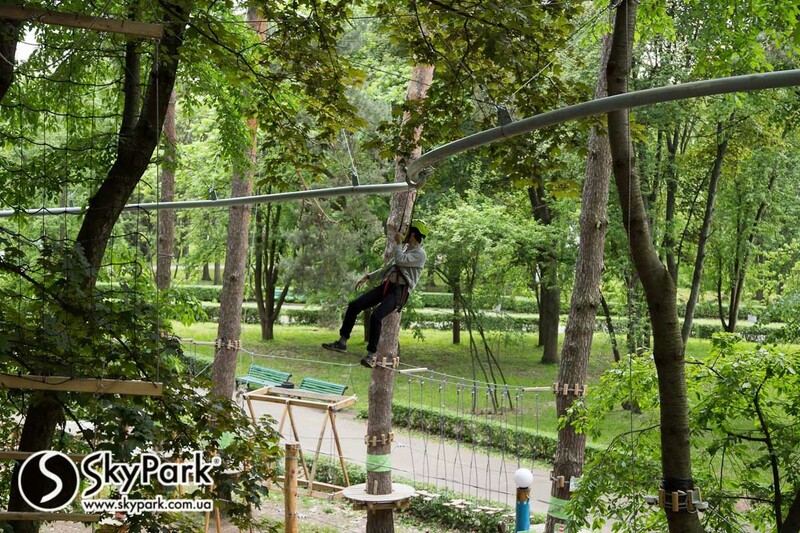 Ordering the construction of the SkyLine by the SkyPark company, you will receive a full range of services: from designing the trail of the attraction to production of unique equipment, structures of the zip line and its installation. 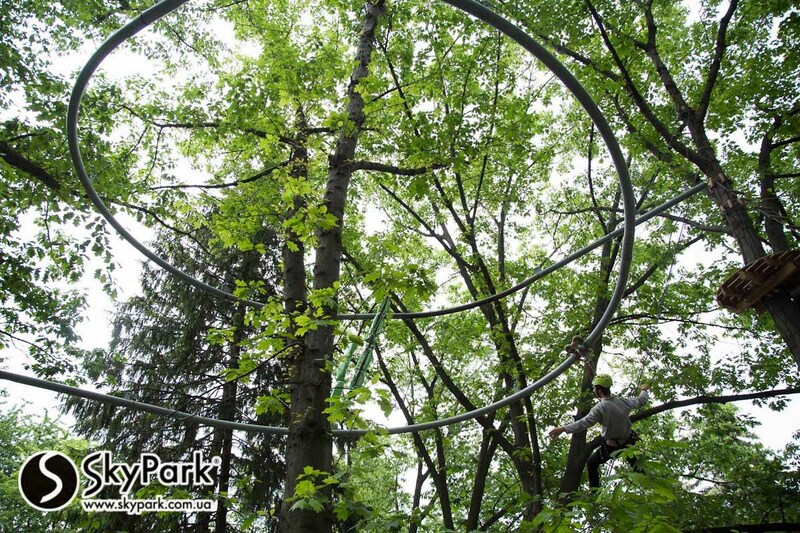 You can experience the SkyLine in our Adventure Parks: SkyPark at Ekspotcentr Ukrainy and SkyPark at Vynohradar.